On July 3 PADI TecRec Cave Instructor Tom Morato & Cave Diver Karl Hurwood discovered 3 new dissolution caves in Pangasinan, approximately 4 hours north of Manila. The area of Pangasinan was the last place of occupation from the Japanese and it is believed that the Japanese hid gold and valuable artifacts inside the caves. Based on this, it is very hard for the locals to comprehend that our purpose was simply to go explore the site for leads for future exploration. This cave was bigger in length / width / height, lot’s of boulders on the ground and stone was not as soft and loose as the previous cave, this made deployment of guideline easier. The Stone is dark in color which absorbed our lights. 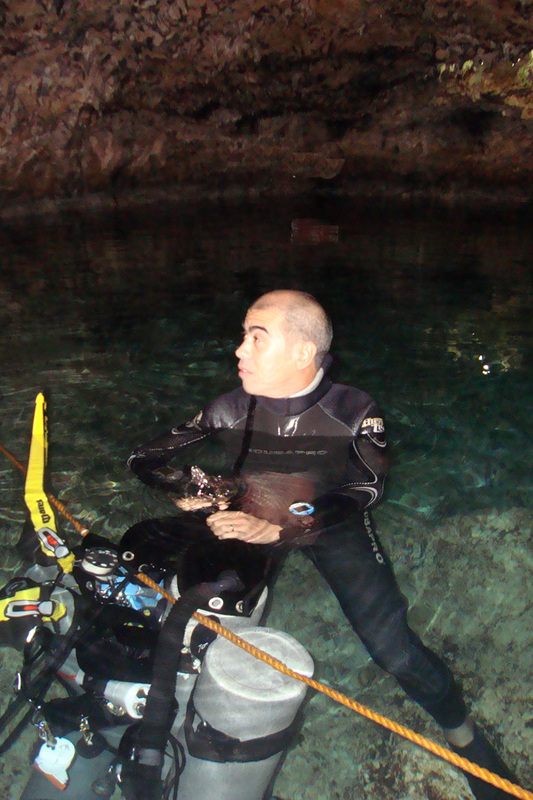 After deploying two primary reels, we decided to turn around and take the reels with us in case we found another cave. We never reached the end of the cave Maximum depth 12m. No restriction for sidemount, but the ceiling is quite low. Out of 4 leads, 3 were good. Logistics in the area are easy, since all caves are accessible by car. Because of the proximity of the caves we believe that the caves are connected. We will be back at the end of the month with more equipment, and put permanent lines in the caves as well as getting the GPS coordinates, so cave divers can enjoy the caves in Pangasinan and push them a little further in. 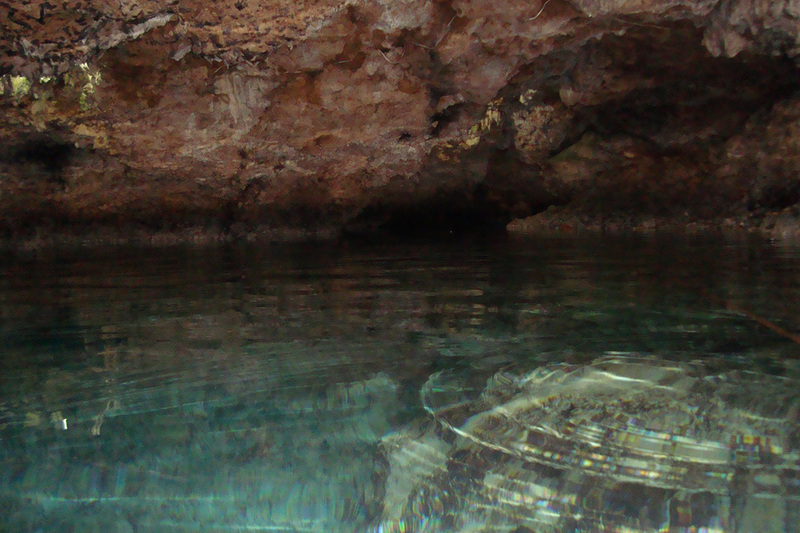 We have cave divers coming from the U.S. that would be interested in pushing these caves. Would it be possible to get their locations?